Australian fans can be inside luxury world without leaving the country. Australia has never been so close to Lamborghini's luxury museum in Italy. The car marque has partnered with Google to develop an exclusive virtual tour of its Italian brand museum to make it more accessible to fans around the world. Supercar brands have traditionally been slow to adopt digital technology but marketers are beginning to explore ways to use technology to make their exclusive brands more accessible. The digital initiative uses Google's Streetview and internal mapping technology to allow fans to explore the museum of classic cars and supercars including the Miura, Countach, Diablo and Murciélago. Fans can now also see limited edition prototypes, one-off models and racing cars they would previously only be able to see by visiting the Italian location. 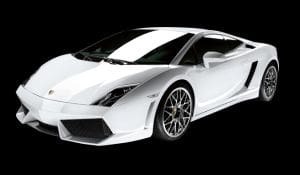 The virtual tour also offers the opportunity for fans to get a 360-degree view inside a number of Lamborghini models. Lamborghini’s app is available on desktop, tablet and mobile devices. Sebastien Henry, head of Lamborghini South-East Asia and Pacific, told AdNews: “The Lamborghini museum at our headquarters in Sant’Agata Bolognese, Italy, overlooks an iconic automotive heritage of 50 years that has shaped the Lamborghini brand as we know it today.